Indie Retro News: Super Castlevania IV Other Castle - A complete hack of Super Castlevania 4 features new levels! Super Castlevania IV Other Castle - A complete hack of Super Castlevania 4 features new levels! 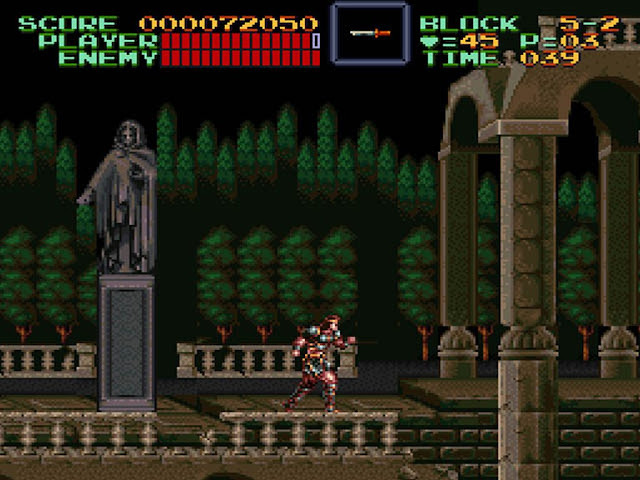 In 1991 Konami released the incredible action platformer of Super Castlevania IV for the SNES; a game that is highly regarded even today, and featured not only impressive 16-bit graphics using SNES mode 7, but a brilliant soundtrack with brand new arrangements based on the previous Castlevania music. It was and still is a game that is well worth playing, that has also appeared in our inbox as Super Castlevania IV Other Castle, a complete hack of Super Castlevania IV featuring more than just new levels. As noted by Romhacking, this complete hack features brand new levels and a new power-up that let's you move and explore like never before. Which as they say opens not only new shortcuts, but new pathways for you to venture through. Furthermore Other Castle is more challenging than the original game, and does have a main focus of level design, whereby you can learn a lot more about both Dracula and Simon. As for the update, it fixes minor bugs found in the previous release. A patching program such as beat or Floating IPS may be needed to add the hack/patch to the main Super Castlevania IV (USA) - no-intro file, which isn't available here.